Anxiety is a normal and necessary emotion when it's managed and seems proportional to the daily stressors of life. So how do you know if your anxiety has become a problem? Take a moment and consider how anxiety may be causing you to avoid relationships, responsibilities, or goals. Do you spend a considerable amount of time going over and over decisions in your head or feeling fearful and apprehensive about what may go wrong IF - for instance, you make a decision to go to a party, attend a class, or apply for a different job? Do you find yourself backing out of commitments or decisions after ruminating over them for days and maybe weeks on end? You may also notice a general pattern of fidgeting, restlessness along with irritability and impatience. Chronic anxiety is typically a learned and conditioned response that many can trace back to their childhood. In some cases anxiety finds it's origin in one's brain chemistry and is treatable with certain medications. Our body's autonomic stress response involves the release of certain hormones which influence each individual's triggers, frequency, and duration of anxiety. Because anxiety originates within our bodies we also find the solution to reducing it within our bodies. "Anxiety robs us of the power of being truly present and aware - it is a bully that pokes, prods, pushes and masquerades as purposed living." Are you stuck in high gear with never ending 'to do' lists and no time for yourself? Maybe it's time to pause and reevaluate your approach to life. Schedule your very own counseling session and discover helpful adjustments in time management and relaxing exercises that only take a few minutes but make you feel refreshed and ready go! What do you have to lose but stress! Counseling can help one learn the source of anxious thought patterns that contribute to the vicious cycle of anxiety. But identifying thoughts is typically not enough to eliminate or change the body's response to what is usually perceived as a "threat." The mind - body connection is the key to lifting anxiety and finding inner peace and calm. In therapy you will have the opportunity to practice using your own body to calm and guide you through turbulent emotions to a place of acceptance and peace. 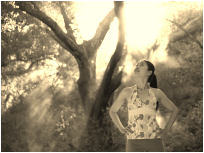 Through the development and practice of effective breathing techniques and focusing principles used by many athletes and performers, you can build new healthy habits for reacting to the stressors in life. Did you know you have a built in calming mechanism available 24/7? We all know about stress and how badly an excessive amount of stress can impact our mood and health, right? What about the body's built in calming system, what do you know about that and how to activate it? Read about this fascinating and life changing exercise and Try this simple and quick - less than 2 minute practice now. ​The Vagus Nerve is the key to many stress based problems we experience. Mindfulness based stress reduction (MBSR) is a research based method of reducing anxiety - among many other problems. This simple concept of bringing intentional focus to the present moment via breathing exercises and retraining the brain away from it's habitual push / pull response towards anxiety is a proven method to reduce anxious thinking. You can experience in your counseling session how to practice being in the moment and take home specific skills to practice outside of session. Try one of these these helpful apps to get started with your own practice: Mindfulness Daily, HeadSpace, Calm, Buddhify. Call / Text 614-354-6962 or ﻿email﻿ now to find out how counseling can help you manage your anxiety and start feeling better about your life. Closing your eyes, even if it is for 5 seconds, can help you feel refreshed. 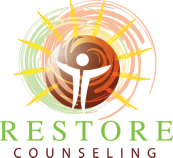 Restore Counseling, LLC is located in Worthington, Ohio, a suburb of Columbus, Ohio the capital of the Buckeye State and home of The Ohio State University. If you are new to town- Welcome! We are glad you are here. Find easy directions to Restore Counseling.